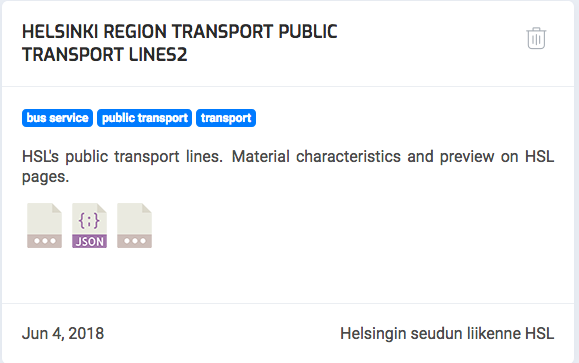 Helsinki is the chosen city to the end of Phase 2 of Select for Cities project. 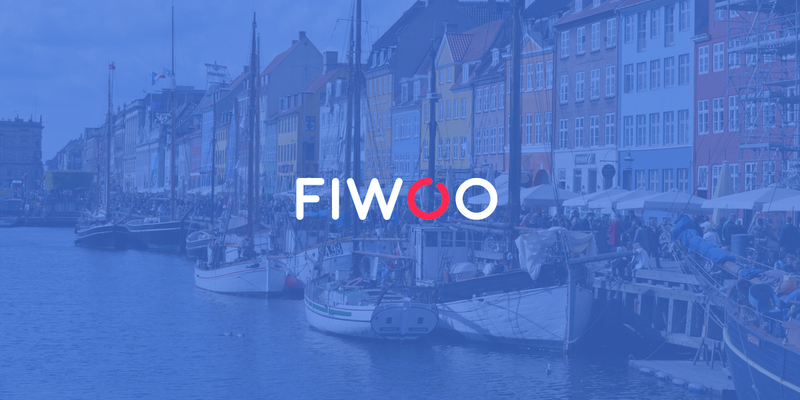 The development of the Smart City platform FIWOO is awaiting the 25th June to show it to the city representatives of Helsinki, Antwerp and Copenhague. SELECT for Cities is a competition which has 3 phases to find the company or consortium and to design and develop an IoE platform for smart urban innovation. In this second phase, the consortium made up of Bosonit, Emergya, JIG and Secmotic are finishing to develop FIWOO. Two representatives of the Consortium Carlos Corrales from our company and Daniel Menchaca from JIG will represent the team in Helsinki. FIWOO is based on FIWARE technology and has its own Geographic Information System (GIS). It will be integrated with the different city systems for which new Machine Learning algorithms and Big Data analysis will be developed, which will lead to the generation of high added value information and the implementation of innovative applications to serve local governments and their citizens. This structure allows to receive data from sensors using IoT Standard protocols such as MQTT, AMQP, HTTP, CoAP/LWM2M and Sigfox. In the next months, ​LoRA ​and SCADA OPC ​will be added. 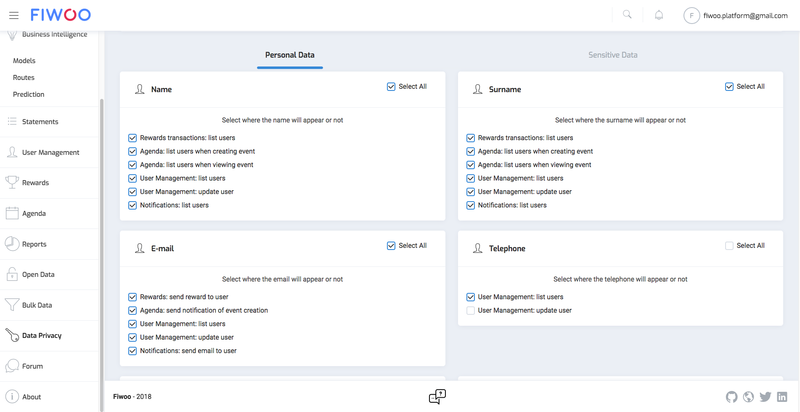 FIWOO provides a big amount of predefined widgets that all users can add to their dashboards for analyzing device information, both historical and real-time data. 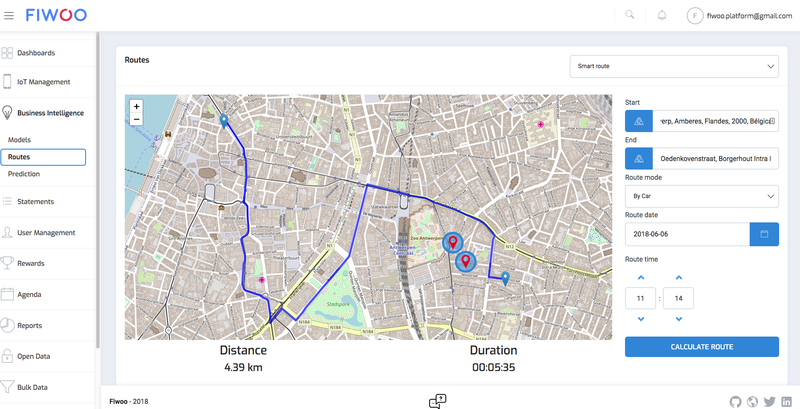 Intelligent Routes: calculating optimal routes based on pollution data from air quality sensors (devices), the weather conditions (opendata) and the shortest routes. Glucose level prediction: using data from sensors and open data, it predicts the next value. This group of services provides options to upload and download open datasets to the platform, accessible for anyone which access to it. Apart from FIWOO’s CKAN, other external CKANs can be integrated, allowing to include data from other sources (for instance, other cities using their CKANs) and use them in the platform. WooCoin is a cryptocurrency, that has been added to the platform in order to give the possibility to the city to incentive the citizens to perform actions in the city. It is an optimal way for having a system which allows ​rewarding ​stakeholders and citizens for participating in FIWOO and the ​challenges ​proposed. FIWOO implements the latest privacy rules stated by the European Union: the GDPR (General Data Protection Regulation), which came into force the 25th May 2018. Beyond this, the next steps will be discused in Helsinki the 25th June. We hope to be ready for the next phase of this amazing project! We will let you know here on our blog!